Hematite - What is it? If you are looking for a stone that can help you in fulfilling your destiny in this world, then Hematite is the stone you should seek. Hematite helps in creating a connection between the physical and metaphysical plane so that the physical body can manifest the highest spiritual purpose. This stone is a confluence of the yin and yang energies, which helps in creating a balance between the masculine and feminine energies. The true purpose of birth in the physical plane is to manifest the spiritual powers in the physical plane. Structure wise Hematite is an iron oxide with 5-6 hardness. In powdered form it resembles the color of blood hence the name. 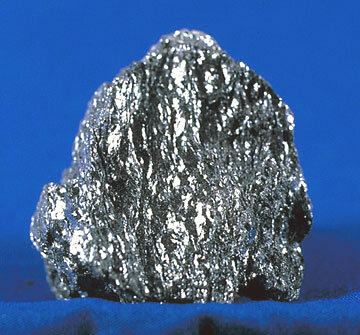 This mineral is abundant and normally occurs in combination with iron ore deposits. As a polished stone it falls into a black, gray or silver color. The stone Hematite is associated with the zodiac signs of Aries and Aquarius. The chakras that this stone helps are the Earth and base chakras and the chakras associated with past life. It helps people who are timid and have a lack of self esteem and will power. It also aids in quitting smoking, decreasing the pain associated with menstruation, red blood cell formation and increasing the iron absorption in the blood. It was believed that Hematite aided soldiers in war. Whether it’s a karmic war or a real war, Hematite helps by healing the hurt and the anger. It’s also known to heal the aura, dissolve negativity and balance all the imbalances in the body. It also helps in understanding past errors and aids in learning from them. In the physical world, Hematite is known as a cure for cramps and disorders of the blood like anemia. It can also heal insomnia and other nervous disorders. If a person has had a fracture or a slipped disc, Hematite can help in spinal alignment and bone healing. All you need to do is to place it on the base of the spine or the area of fracture. In the metaphysical and mental plane, hematite aids in astral travel by protecting the astral body and helping it to come back into the physical body. It also increases the memory power as well. Hematite is also known as the mind stone as it helps in dispelling tempers and increasing mental powers and prowess. If you are worried or agitated, Hematite can help you become calm and relaxed. If you are feeling lonely after an abusive relationship, Hematite can help in attracting a calming and quiet kind of love for you. Hematite also helps you to manifest your desires and achieve your dreams. This stone says that limitations are farce and the only limitation that man puts on himself is the self imposed one. Hence, Hematite helps you to reach out for the stars while keeping your feet on the ground. It also aids in increasing mental powers such as memory, technical knowledge, mathematical powers and innovative thinking. So next time you have a mission to fulfill or need a rest grab a hematite crystal or apply some mineral eye shadow or mineral blush. If you feel tired, lonely and depressed, Hematite will help you to manifest the love and the dream of your life. Imagine how easy this is when on your skin.